Since its formation in April 2001, EMA has been regulating Singapore’s electricity and gas industries as well as district cooling services in designated areas. We are also responsible for ensuring the security, reliability and adequacy of electricity supply to keep the lights on. 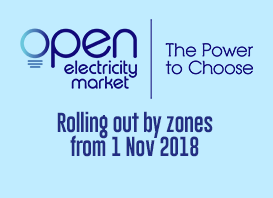 EMA has created a regulatory framework and developed a market structure that promotes competition and a level playing field in the electricity and gas industries, whilst protecting consumers’ interests. Our initiatives as Industry Regulator are outlined under Electricity, Gas, Licensees and Consumers.